The beautiful islands of Fiji are always seen as paradise for many holiday makers as they offer pristine beaches, refreshing rainforests, coral reefs, a beautiful culture, fabulous singing and dancing, easy-going attitudes of the local, and their simplicity in nature. Happiness is the centre of their culture. Once been there, one would like to go back there again. Yet, those who have been to Fiji would agree that a great deal of work needs to be done for the Fijian society especially in human development. Many children, and many young people, are hungering for a better life in Fiji. There is no better way to help than providing educational needs to the young in Fiji. A good education will afford them a better future and a much happier life. Every child deserves to live a safe and meaningful life and that both is the wish and mission of St John Bosco and the Salesians all around the world. Salesians from the Australia-Pacific Province have been in Fiji for a number of years and now have started working with the young. A Youth and Educational Training Centre is about to be built. 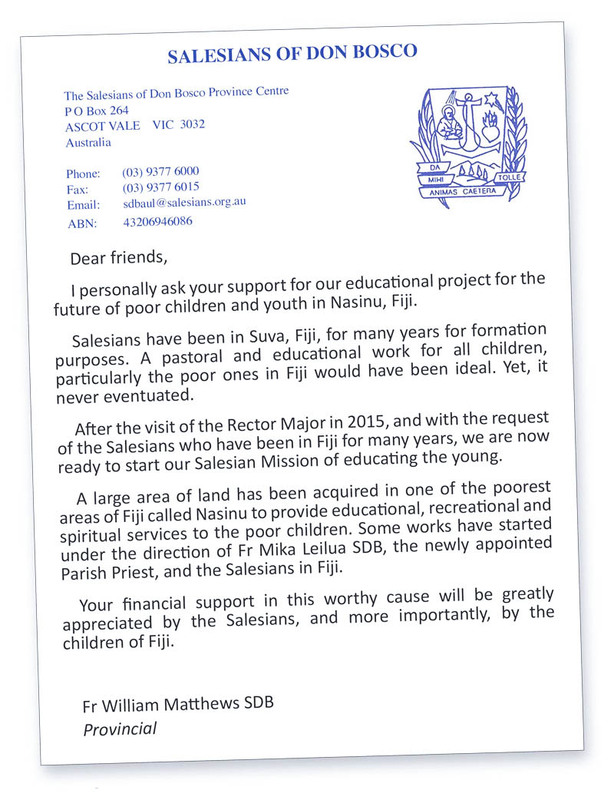 It is a promising future for Fiji with the help of Salesians. Nothing is more beautiful, worthwhile and blessed, than to help the young in need. The Salesians are so lucky to have a place in Fiji and are now able to work and serve young people for many years to come. Please click here to make an on-line donation to the Salesian Missions via GiveNow. This is a secure website and a tax deductible receipt will be issued to your email address. If you would like to be added to our mailing list and receive a copy of the Annual Salesian Mission Newsletter. 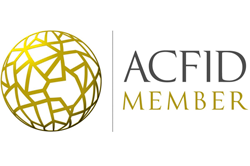 We do not share email addresses with other organizations. We will only use for details for the distribution of Salesian Missions information.